I see you had fun with the last challenge ..
you ought to play for this and for its sheer challenging streak. to use the colours Baby Pink, Pastel Yellow, Pastel Green and design a manly card/layout/project ..
Let me just run you through the inspiring creations our DT members came up with..
Mel says the card is simple ..!! Ask me to make one like this and I'd be dead long before .. So she scoots by us with her CAS card with lime cardstock and a cutsy wootsy pink and green scooter ..Some serious paper piecing went into it and it has inspired me to try the technique. Have a looksie people at this super-cute yet manly card ( a bit of a crush on it actually)..I mean the archaic telephone has added just the exact amount of manhood to the pastel colours. Romina has stamped on the pattern paper in such exquisite manner that it blends with the paper completely. 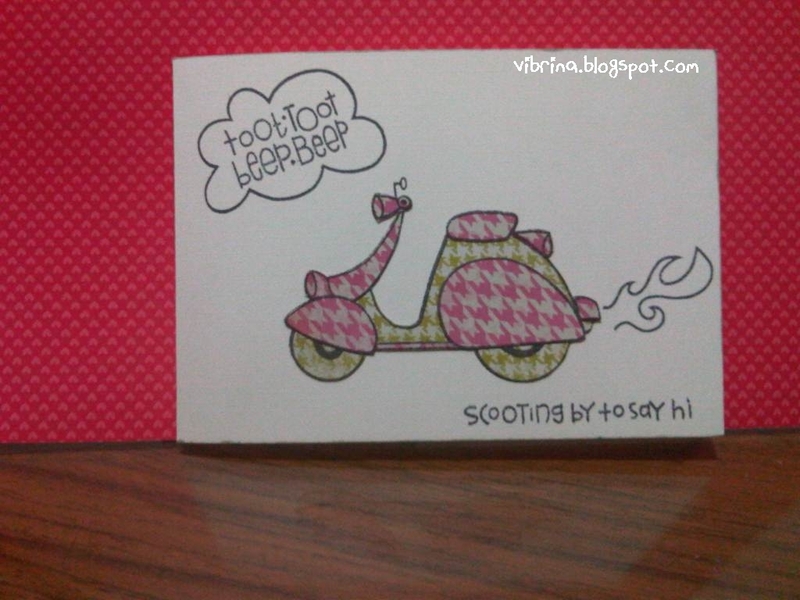 I love the shape and the fact that it has a tagged note-card which can be pulled out. Way to go Romina ! 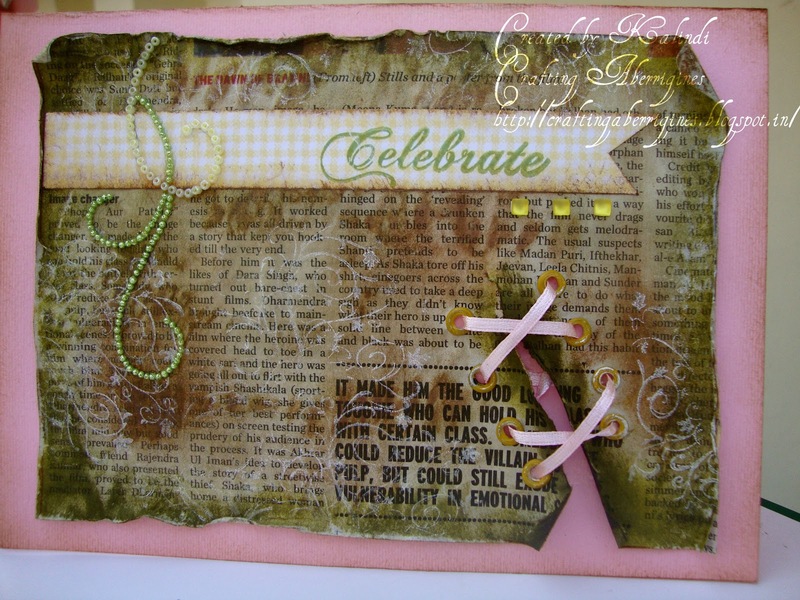 A mixed media layout is just what one needs to complete the circle. I love the play of colours, the childlike exuberance..everything just melts into one ..making it a unique piece of art. I don't know what to say except I tried something really different from my style .. 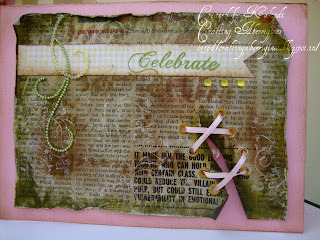 So its a pink background with green distressing and white stamping. I used beads and glitterballs to make the swirl and yellow eyelets as well. Also you can always drop in a mail or comment in case of any confusion. its me signing off from my chilled computer room ..with frozen fingers ..
Best of luck and best of times..
How does one link here .my card is ready. 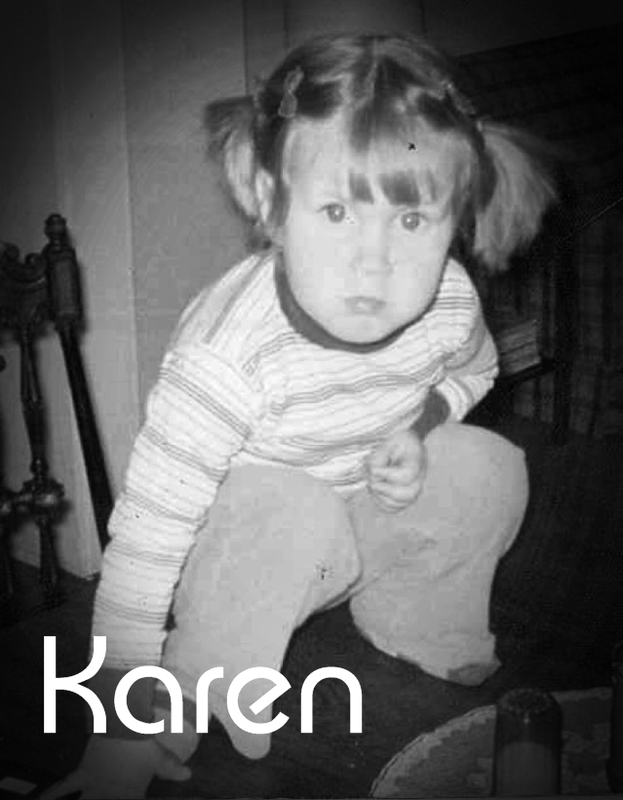 here is the link to my card which I created for the current challenge here. 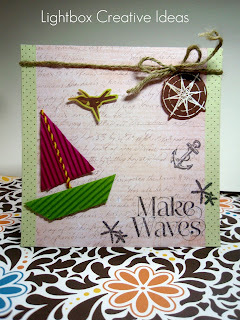 Hi Pooja..All the DT inspirations are awesome..I have entered my card for your challenge . All the DT members performed best,I like these cards. BGC#65: Mood board + Stamping with Bipasha ! Our DT works really hard to comment on each and every entry , so pls make it easy for them and remove WORD VERIFICATION for ur comments. * You can enter as many projects as you'd like, Each project must be submitted to the gallery separately.Kindly link to ur blogpost not ur entire blog. *Your project must be new, and can not have been posted prior to our challenge date. *Include a link to Beyond Grey challenges in your blog or online gallery post. So everyone knows where and what you are playing.